We’re firm believers that the best relationships are built on a foundation of friendship, love, trust and an ability to have fun together. Michelle and Justin check every box. They met through mutual friends in college at a night out to Papa Cheney’s and became closer during a trip with those same friends to Vegas. 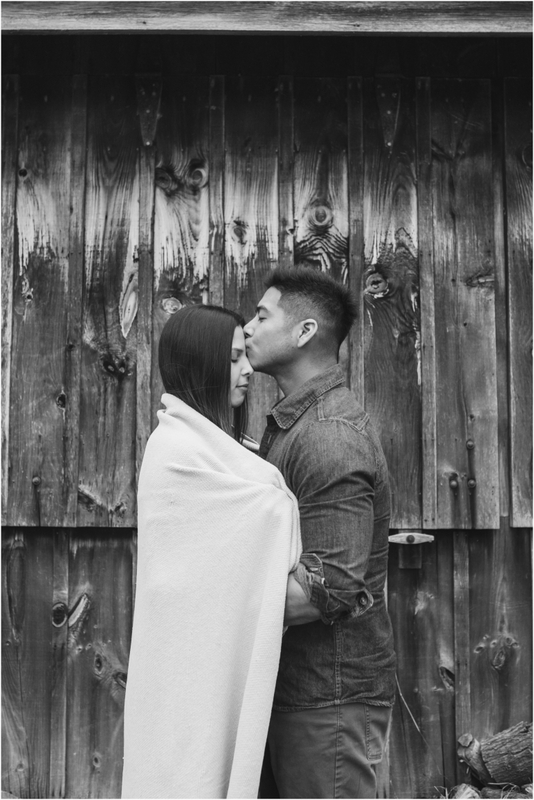 They’ve been inseparable ever since, and last November, Justin got down on one knee in New Orleans and asked Michelle to be his forever. Since then, they’ve survived a long distance relationship which is soon coming to an end (hallelujah) and they’ve come out of it even stronger. Michelle is adorable, sincere, and sweet as pie. Justin is a beast with big muscles, but is gentle and kind especially with Michelle. Together they are big into family, enjoy delicious food, and exploring new places. 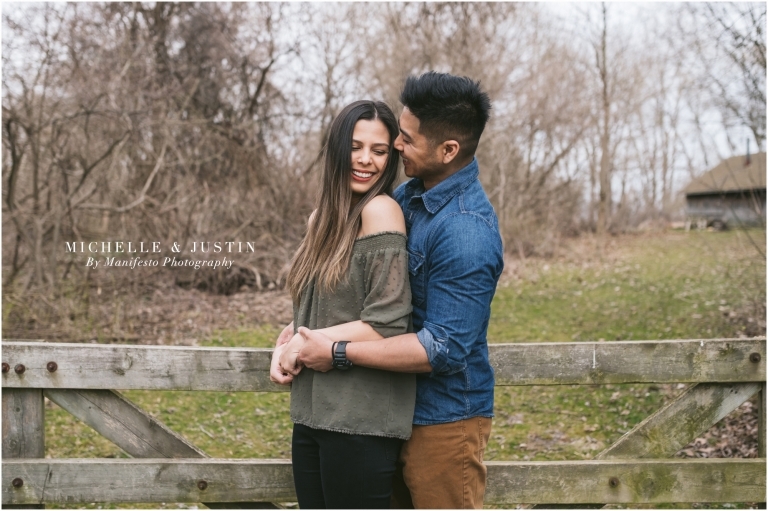 They compliment each other so well and at their session it was all laughs and love. 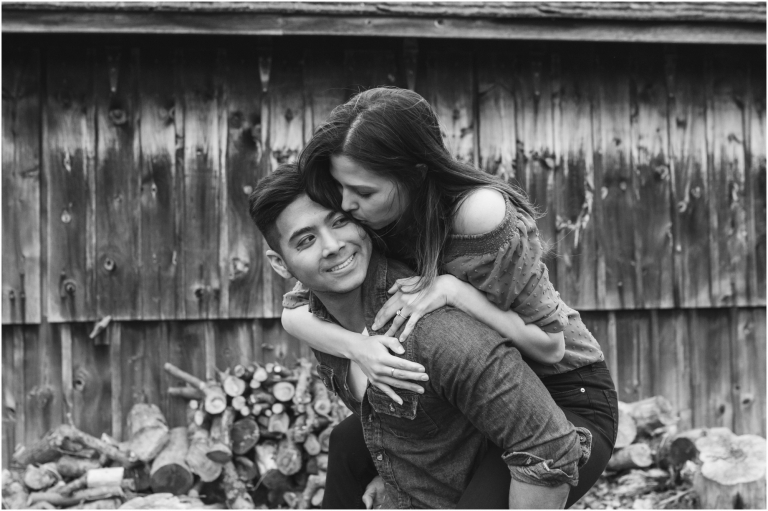 We all agreed that John R. Park Homestead would be a great spot for their engagement session and a perfect fit for their rustic, modern wedding theme. It was their first photo shoot together but they were calm, relaxed, and absolutely willing to try every silly or serious prompt. They were so kind and welcoming that we felt like instant friends. Michelle and Justin, I’ve genuinely loved getting to know you both and the times we’ve spent together. 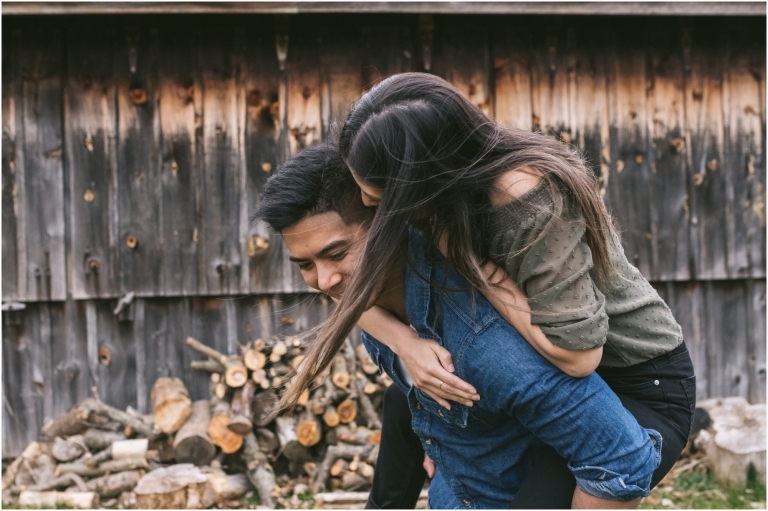 It was an honour to capture your first shoot together and I’m so excited to be there as you say ‘I do’ later this year! Thanks for choosing us.